Structure: it is composed of three parts: tube, reinforcement and cover. Reinforcement: two layers of high tensile steel wire braid. Temperature range: -40 °C to +100 °C. Hose ID: 6.35 mm – 25.4 mm. 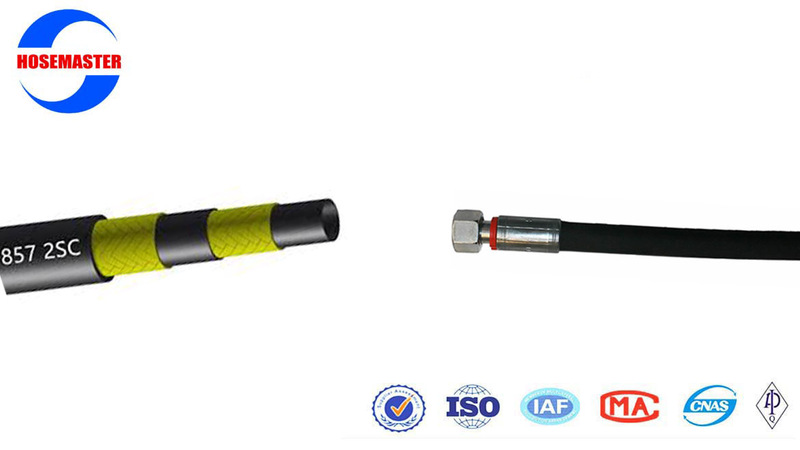 EN857 2SC hydraulic hose used for petroleum-based hydraulic oil delivery at the temperature range of -40 °C to +100 °C. It is composed of three parts: tube, reinforcement and cover. 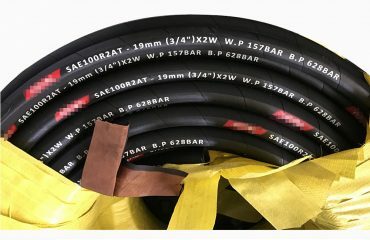 Tube is made from oil resistant synthetic rubber, making hose have outstanding performance in delivering hydraulic oil. 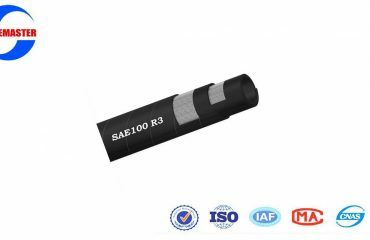 Reinforcement is made from two layers of high tensile steel wire braid, making hose bear higher working pressure than EN857-1SC hydraulic hose. And the high tensile reinforcement makes hose have solid structure and resistant to bend, kink and fatigue. Cover is made from high quality oil and weather resistant synthetic rubber, making hose have long service life.